total 890 Jail Prahari vacancies available in Jail Vibhag Recruitment of Madhya Pradesh. 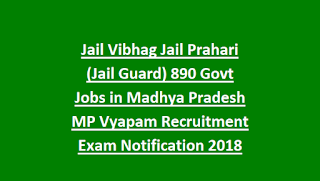 Closing date for this MP Vyapam Jail Prahari Jobs Recruitment Exam is 25-08-2018. Selection for Madhya Pradesh Vyapam Recruitment of Jail Prahari 2018 will be through competitive exam of objective type and physical tests. Online applications for this MP Vyapam Jail Prahari Jobs Recruitment will be received through peb.mponline.gov.in official website of MPPEB. 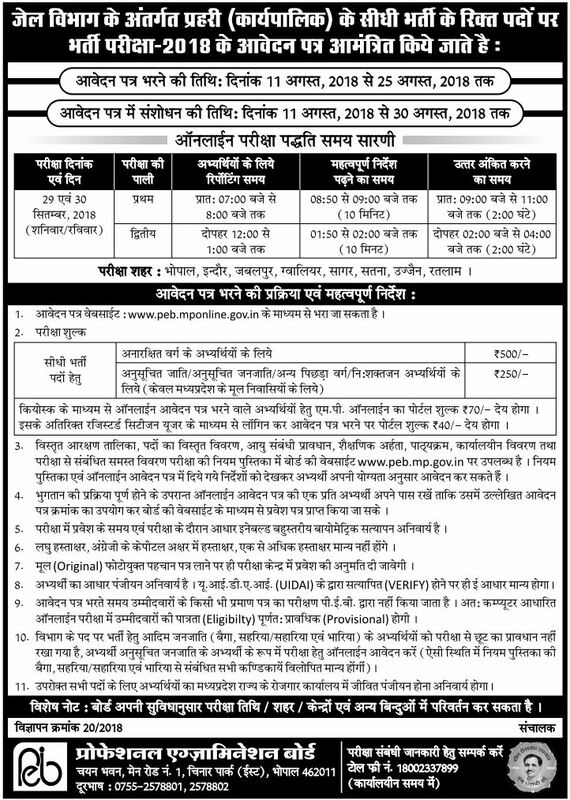 For more details about MP Vyapam Jail Prahari vacancies exam pattern, syllabus, physical test details and other info is given below. Click here to see the official notification of MP Vyapam Jail Prahari Vacancy Recruitment Exam. There are total 890 vacancies available in Madhya Pradesh Vyapam. Age limits for Jail Prahari vacancies is 18-30 years. For reserved candidates age relaxations are given as per the Madhya Pradesh State govt norms. For MP Jail Guard Jobs Salary is Rs.5200-20200 as per Group C vacancies. Selection for this MP Vyapam Jail Guard Jobs recruitment will held in three stages. MPPEB will conduct written test for 200 marks. Total 200 questions will be given exam duration is 3 hours. Based in candidates marks in Written exam a merit list will be prepared using cut off marks and available vacancies. Those are only eligible for Physical Tests. Download Exam Pattern and Syllabus here for Jail Prahari Jobs of MPPEB Jail Vibhag Recruitment 2018. Syllabus for this MPPEB Jail Prahari Jobs will be High School level only. Chest 78 cms + 5cms after breath. Candidates who are having interested to work in Jails of MP as a Jail Prahari they can submit their application form online through MPPEB official website of peb.mponline.gov.in or www.vyapam.nic.in. Final date for online application form submission is 25-08-2018. 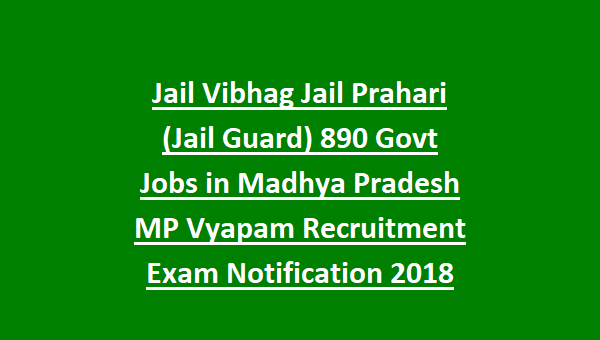 Click here to apply online for the MP Vyapam MPPEB Jail Vibhag Jail Prahari Jobs Recruitment 2018. Please share this MP Vyapam Jail Prahari Vacancies Recruitment Exam 2018 with your friends too. Share to care.